Newark, Ohio: Beware of persons posing as employees of The Energy Cooperative that are making their rounds in local neighborhoods because they are not the real deal. Gary Baker, Director of Marketing and Public Relations, is cautioning residents to watch out for these imposters and to report them. After receiving two phone calls from residents on the east side of Newark, Baker says the company is concerned for the public’s safety and the reputation of The Energy Cooperative. The Energy Cooperative’s employees and contractors always have proper identification. According to the reports a man wearing a poorly constructed version of an Energy Cooperative uniform knocked on the front door. The imposter asked to see a copy of the homeowner’s electric or gas bill. The homeowner presented the bill and the imposter proceeded to copy their personal account information from the bill. The suspected intent of the imposter is to use the personal information to enroll the homeowner in an alternative energy supplier program. On one occasion, one of the residents let the imposter into their home. Luckily no one was harmed but Baker says, everyone in the community needs to be aware of these imposters. Baker says that, only in specific situations are employees of The Energy Cooperative required to enter the home and if they need to, the resident is always notified beforehand. Baker said he cannot stress enough the importance of being cautious when someone approaches your door. “Very desperate tactics are being used by these individuals to enroll consumers in an alternative energy program, and the main point we want to stress here is to always be cautious and never let anyone inside your home without proper identification. If you ever feel threatened, call the police,” said Baker. “This tactic is also a form of consumer fraud punishable by law. You can always call our main office at (800) 255-6815 for confirmation of our employee’s identity and the purpose of their visit,” Baker said. The cooperative has also posted this warning on the company’s Facebook page, Twitter and website to spread the word to consumers.  The Energy Cooperative, based in Newark, Ohio, is a not-for-profit energy enterprise and serves more than 60,000 electric, natural gas and propane members. The Energy Cooperative is a Touchstone Energy® Partner.